Damon has worked in the funeral profession since 1987. He holds the NAFD Diploma in Funeral Directing and is a member of the British Institute of Funeral Directors. 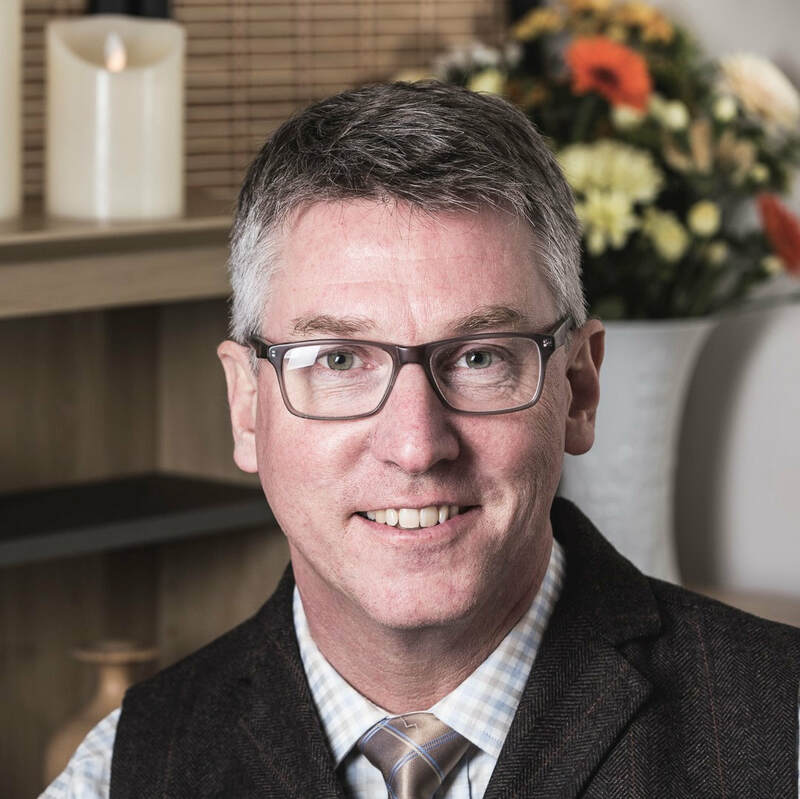 Having worked with Golden Charter Funeral Plans for 11 years, he has specialist expertise of funeral pre-planning and particularly the many pre-payment options that are available today. Aside from the funeral profession, Damon is a parent governor and a vice-chair of the Halberton & Uplowman Primary Schools Federation. Julie is a lifelong Tiverton resident, and will be known to many families in the area as manager of The Market Centre - a youth drop-in service which provided support and advice to 11 - 19 year olds on issues as diverse as family, housing and social needs. On her previous role, Julie said "the most rewarding aspect of the position was helping young people make the sometimes difficult transition from adolescence to adulthood as smooth as possible." We welcomed Julie to Countryside Funerals in November 2018. Her easy and natural way of working with people will translate so well to supporting the families we help. Countryside Funerals is a member of SAIF - The National Society of Allied & Independent Funeral Directors, and we adhere to their Code of Practice, details of which you see on our Policies page. We are also very pleased to be a Natural Death Centre Recommended Funeral Director for 2018-19. Established in 1991, The Natural Death Centre is a social, entrepreneurial, educational charity that gives free, impartial advice on all aspects of dying, bereavement and consumer rights. The Fair Funerals Pledge is part of a campaign run by Quaker Social Action to recognise and tackle the problem of funeral poverty. We are pleased to have committed to this initiative, ensuring transparency and flexibility in our pricing.